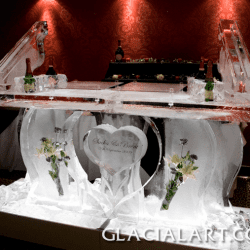 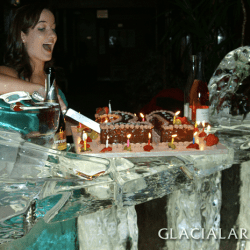 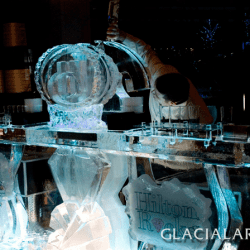 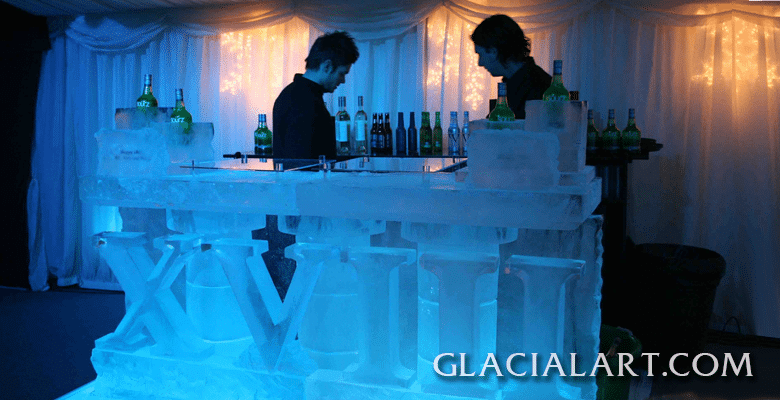 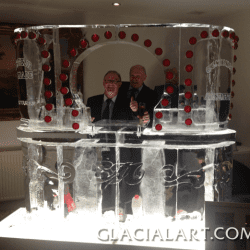 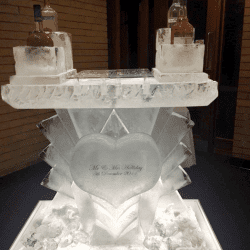 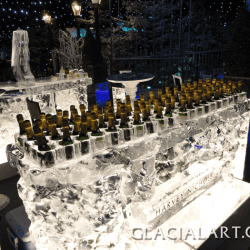 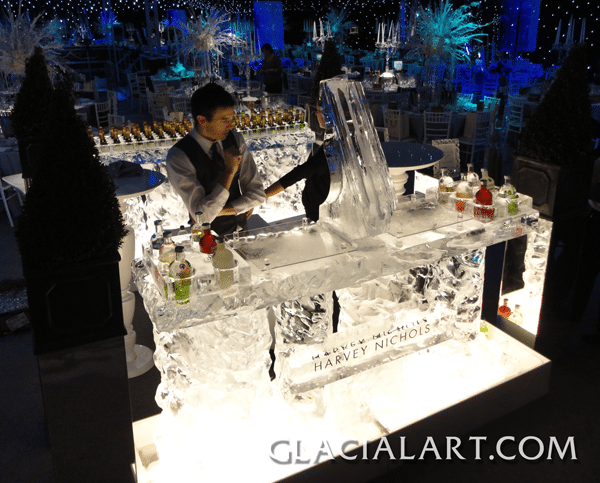 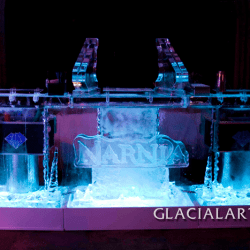 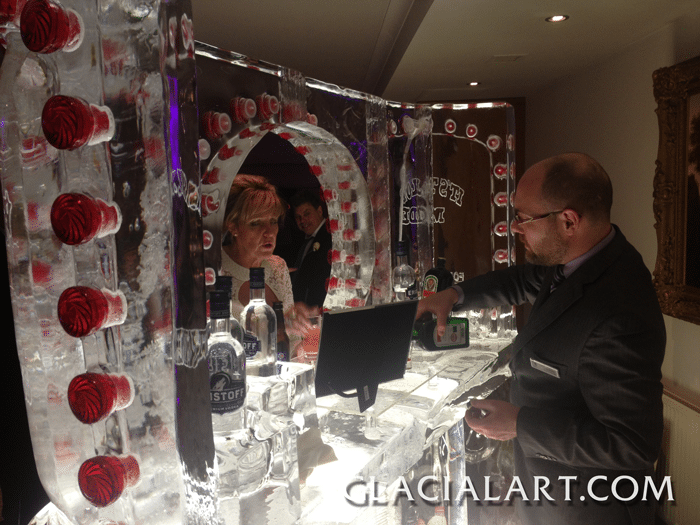 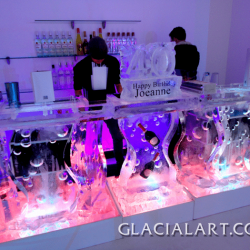 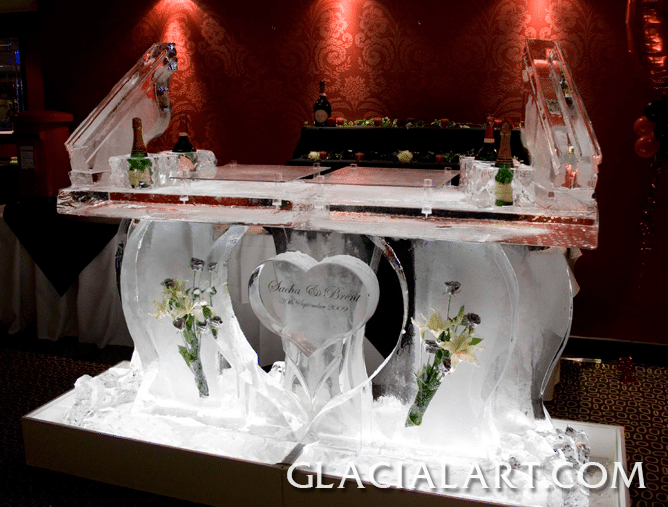 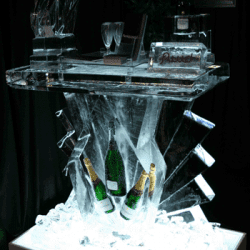 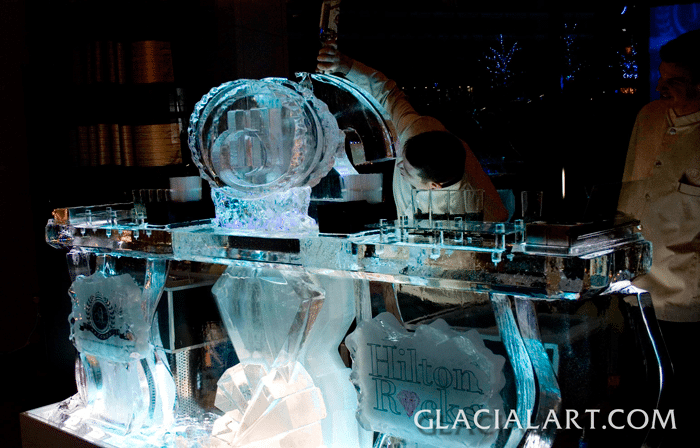 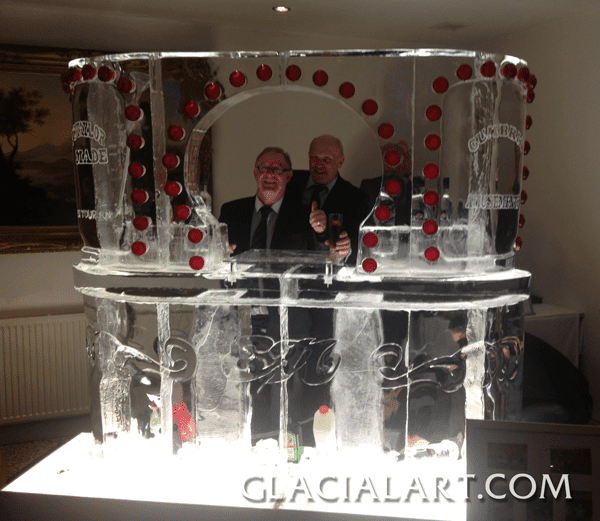 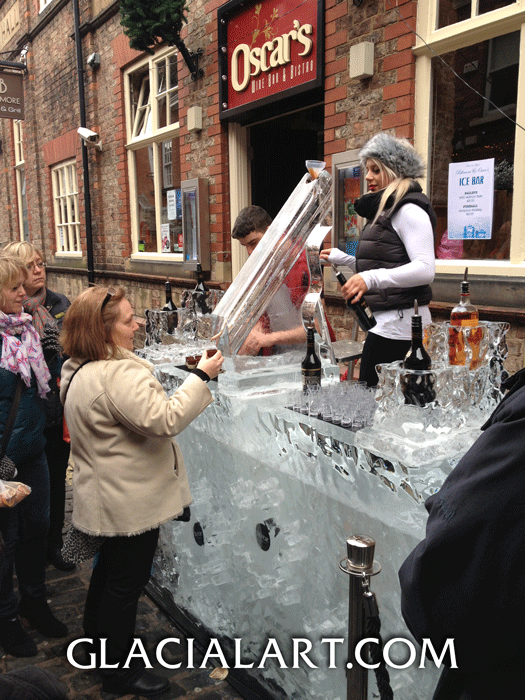 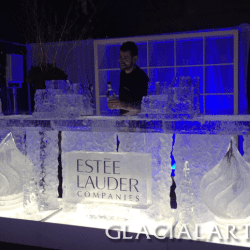 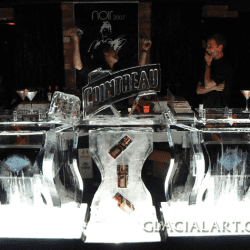 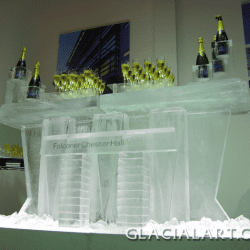 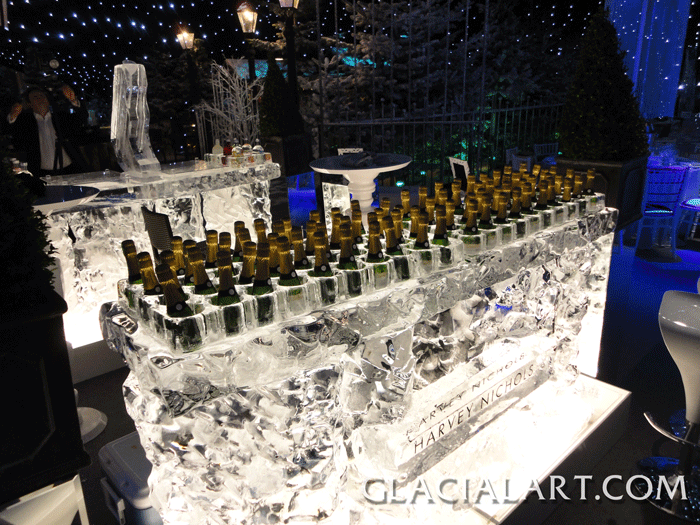 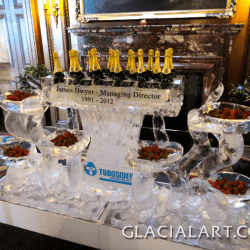 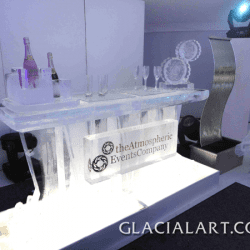 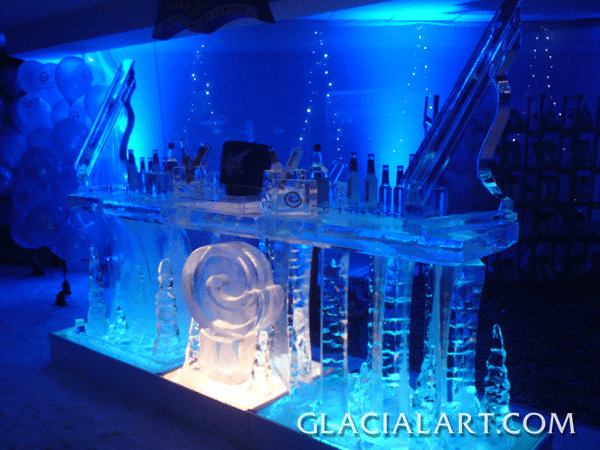 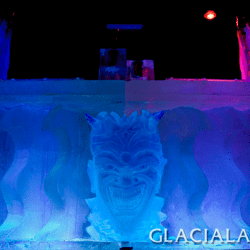 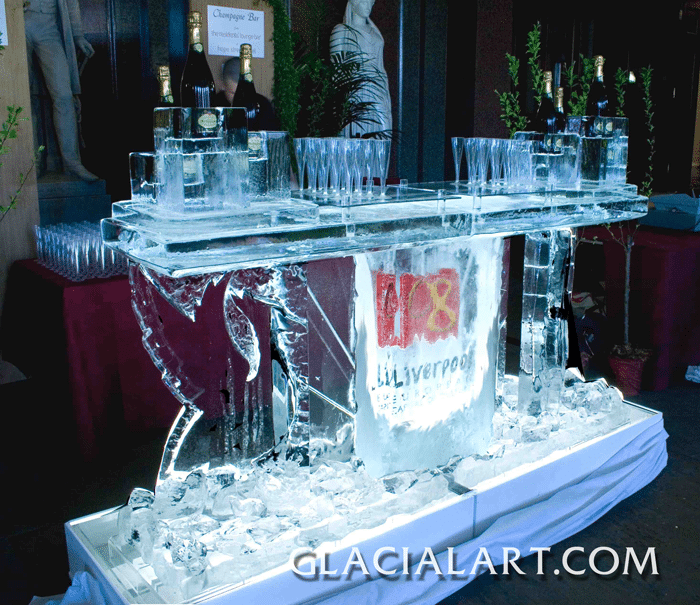 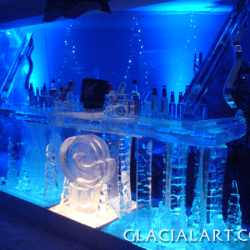 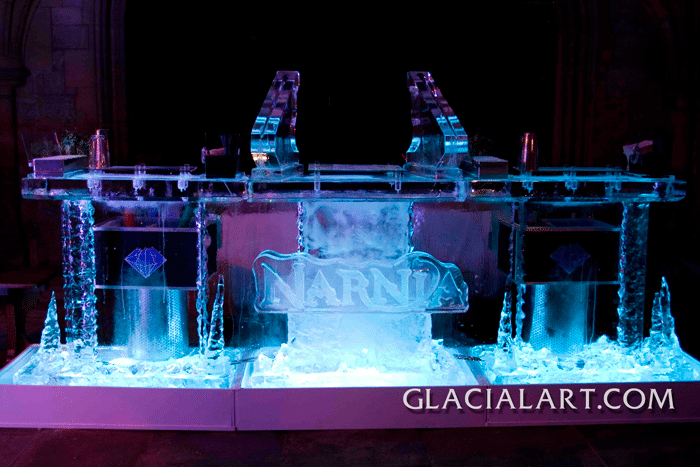 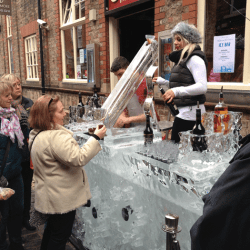 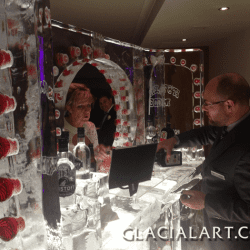 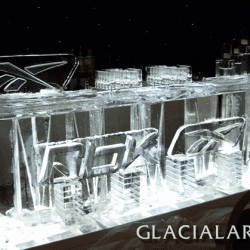 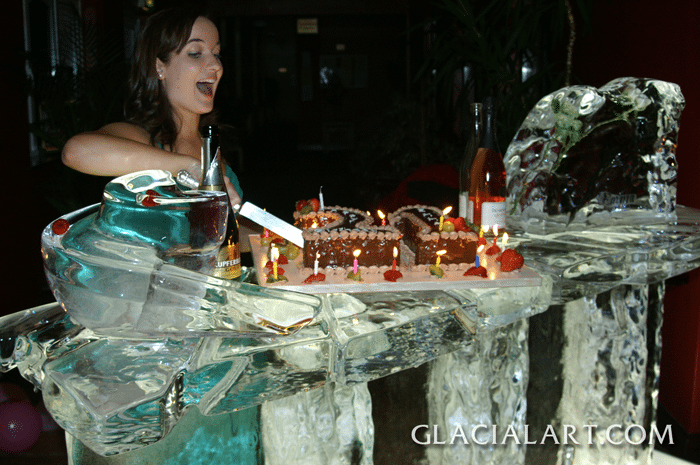 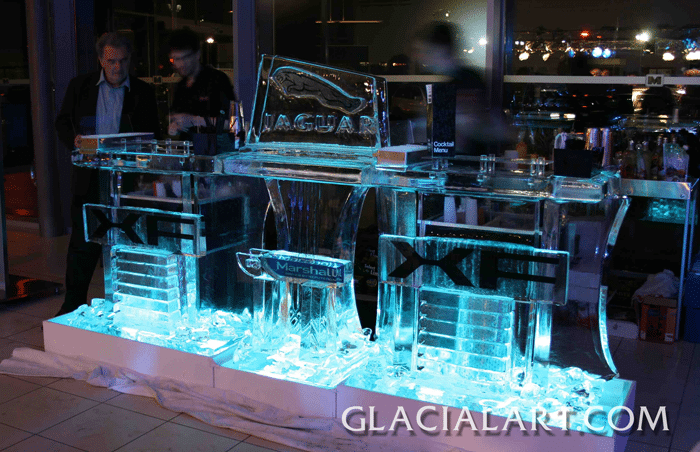 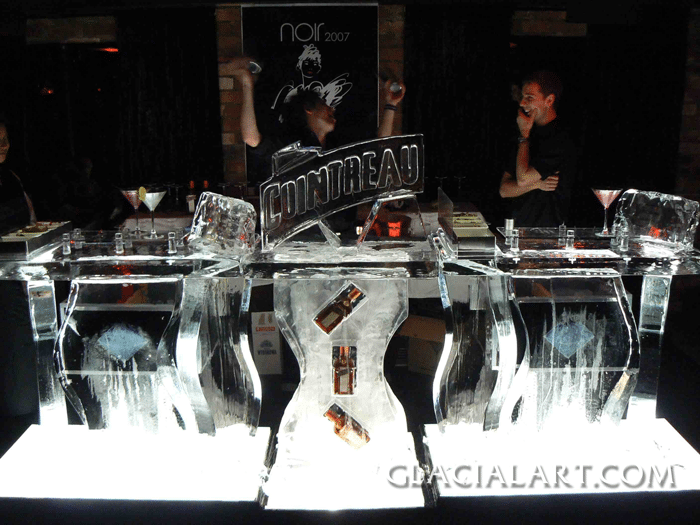 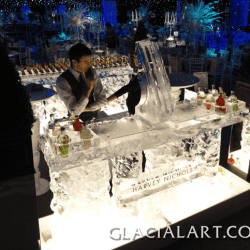 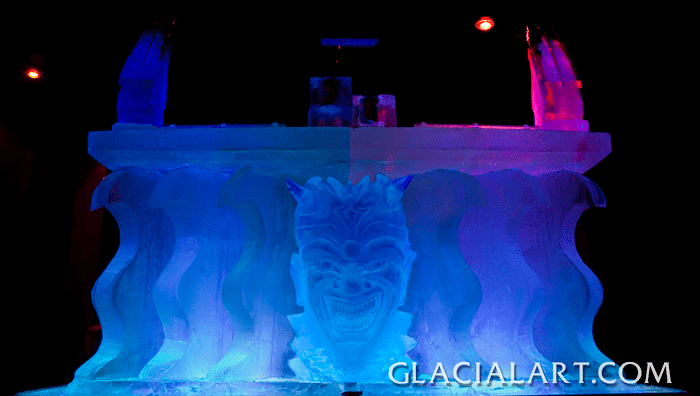 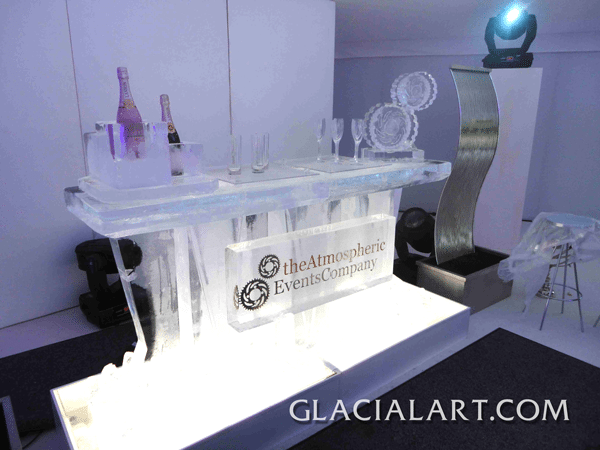 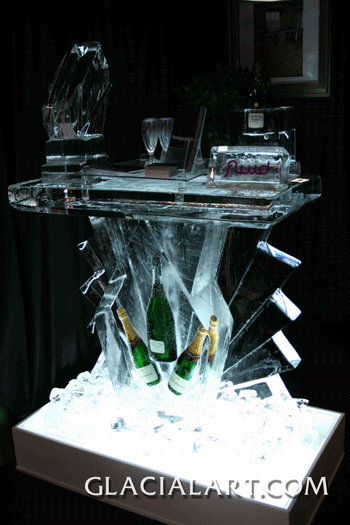 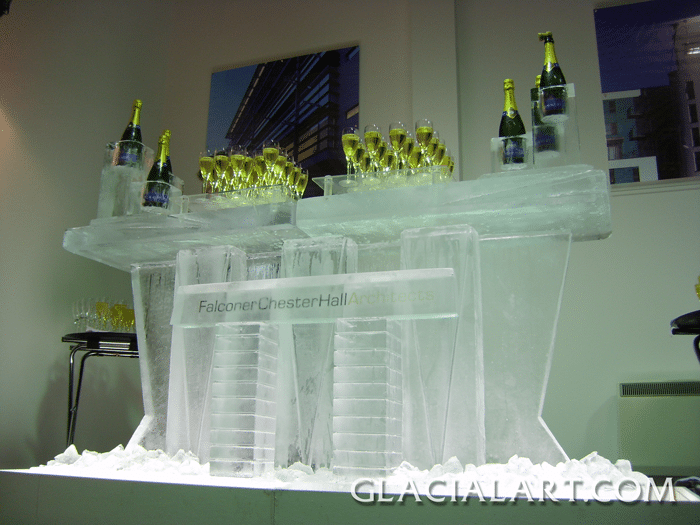 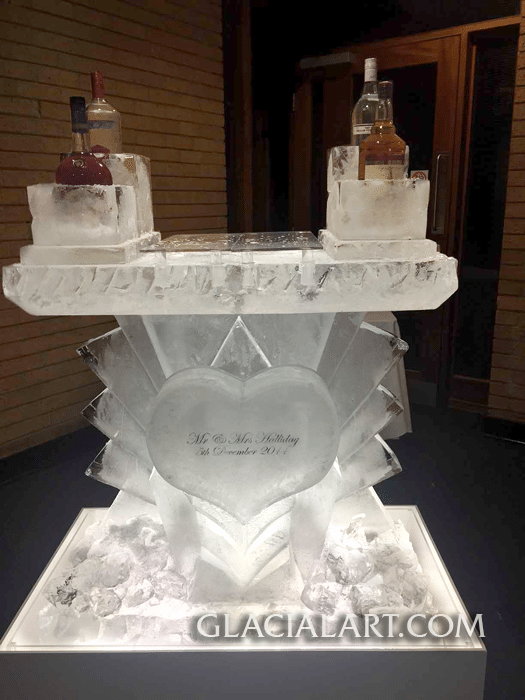 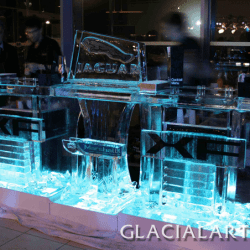 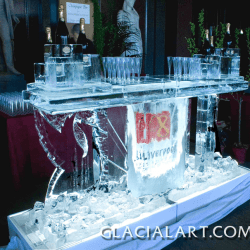 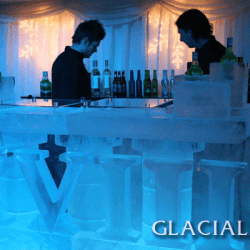 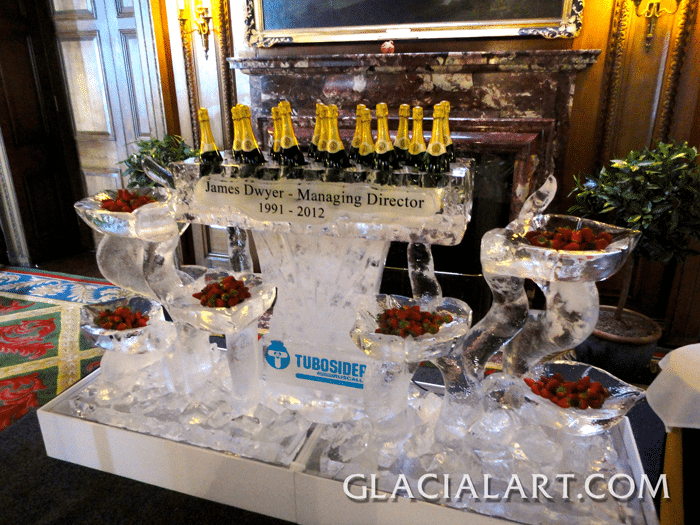 Ice Bars are one of our carving specialities, and are a cool way of impressing clients and guests. 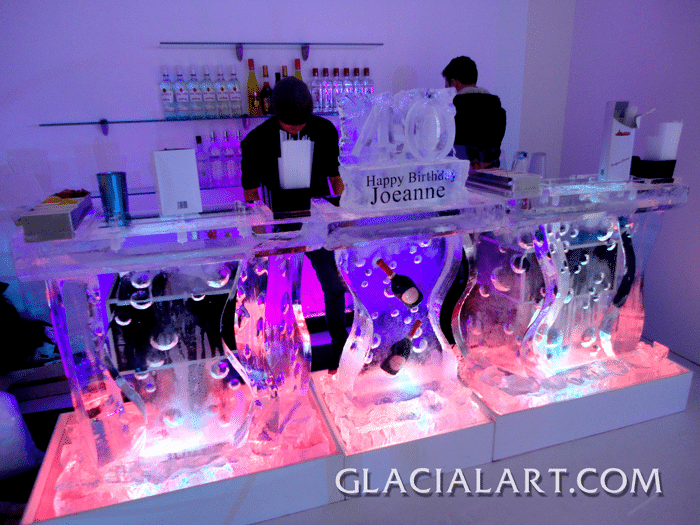 We hand carve all our ice bars, that start at a metre in length up to as long as you like! 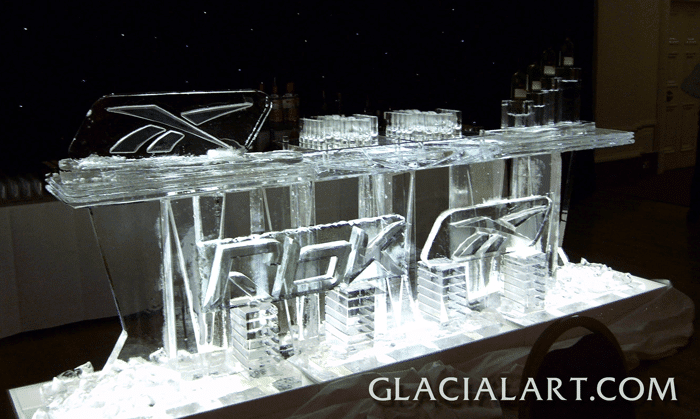 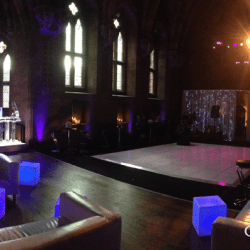 We have carved sculptures for brands such as Estee Lauder, Harvey Nichols Finlandia, and for themed events such as Narnia, Fire and Ice and Halloween, as well as for weddings and private birthday parties. 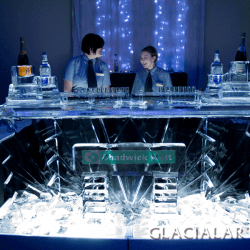 We take as much pride in how our bars work as in how good we make them look. 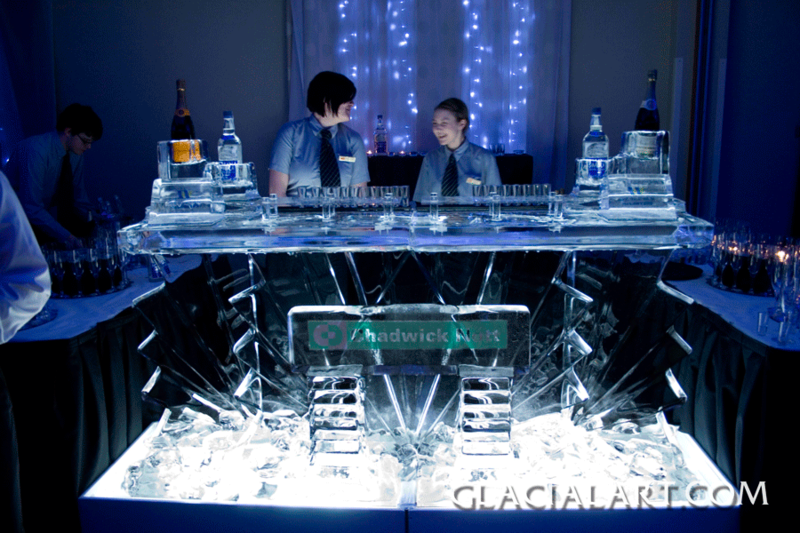 All of our Ice Bars come with perspex ‘serving’ area for drinks and bottle holders. 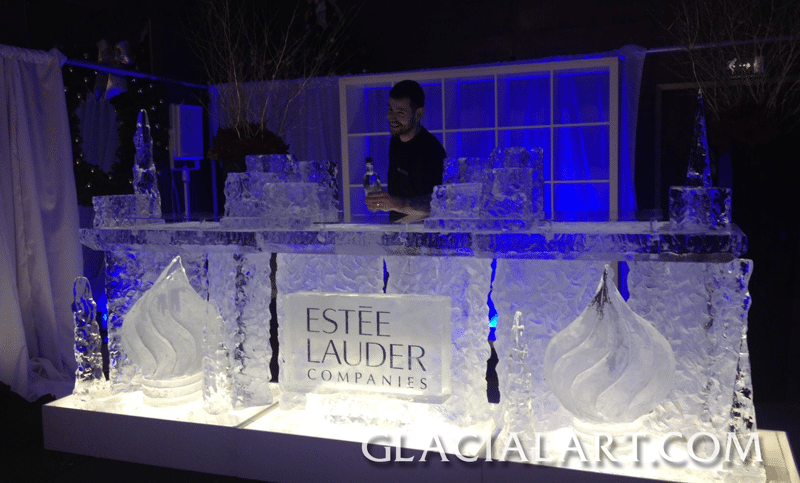 We use professional light boxes to illuminate the ice from below, and contain built in drainage to collect the running water.